We are giving away 25 prizes worth $3500.00 in our 25 Days of Christmas Giveaway! 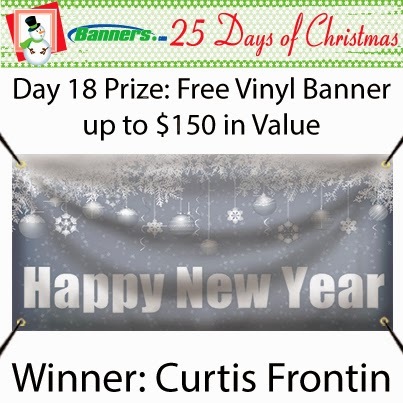 Congratulations to Curtis Frontin! 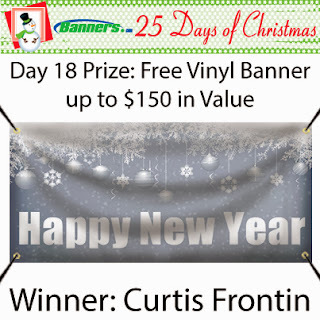 Curtis won a Free Vinyl Banner up to $150 in value.